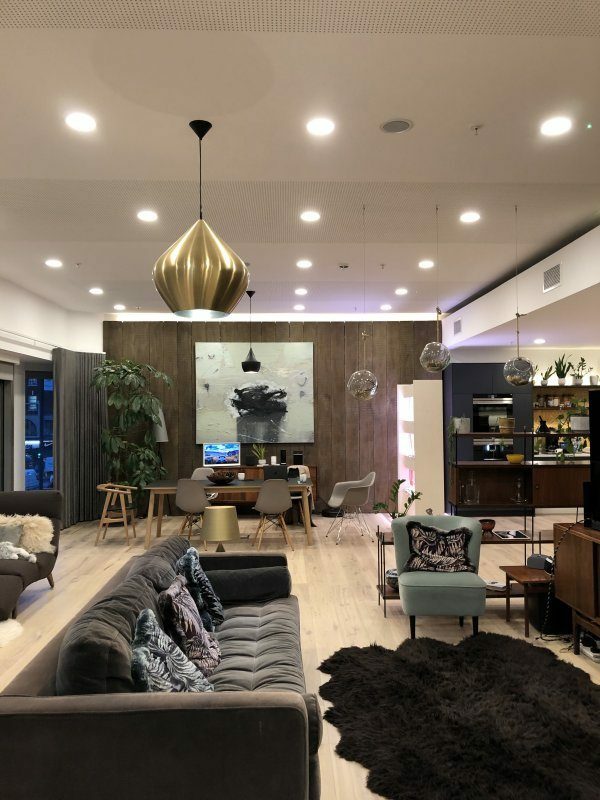 The 2,000sq ft Unruly Future Home is a showroom with a difference, created to showcase how connectivity is going to become part of the way we live at home, and where advertising will fit into it. The Unruly Future Home is based within the offices of ad tech company Unruly and has been created in partnership with marketers such as Amazon Launchpad, eBay, Unilever and Tesco. Featuring a plush sofa from made.com, on-trend kitchen lighting by Tom Dixon, kitchen worktops by Caesarstone, Ca’ Pietra’s Lilypad tiles as a splashback, and a wealth of connected gadgetry, this showroom is not so much about viewing displays – it’s more about experiencing them. Based in London’s Whitechapel, Unruly was founded in 2006 with a mission to transform advertising for the better, and helps the world’s biggest advertisers engage global audiences by harnessing its data-powered video marketplace. By using emotional testing and over a decade’s worth of video data, it also helps advertisers to deliver better targeting and higher campaign ROI at scale. The company has its sights set firmly on the future of advertising, so keeping tabs on future trends is what Unruly is all about. 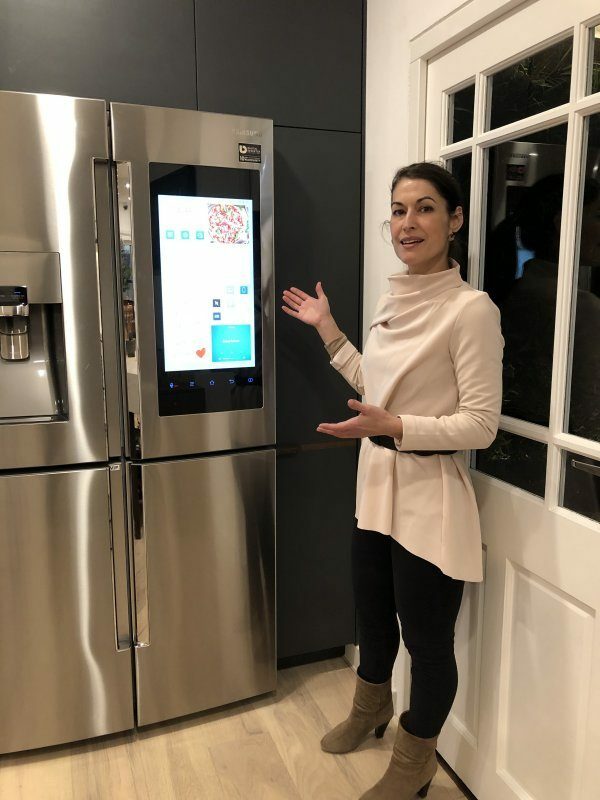 On display in the kitchen is Samsung’s smart fridge – the Family Hub – which enables the user to create shopping lists, buy food, organise the family schedule, and even see who’s at the door via a large touchscreen on the fridge. Bixby voice control makes it possible to ask the fridge to show its contents, to read out recipes step by step, to take dictation, and play music. All the user needs to do to activate it is to say the Wake Word, and then the command. The fridge can also flag up when the user is running low on particular products, and is then able to do a price comparison search on that product at different outlets. Also on show is the Smarter coffee machine, which offers a totally personalised experience. It lets you customise the strength of your brew, and will remember the name the cup is brewed for so it stores the preferences. It can be operated remotely from anywhere in or outside the home via the Smarter app, and works with Alexa and Google Assistant for voice control, and ultimate ease of use for the time-poor consumer. It can be linked to other connected home devices too, such as lighting, so that it is switched on when the user turns the lights on in the morning. The ‘smart’ mirror is also on the horizon, and the prototype on display at the Home offers a personalised service with potential to help with selecting a particular outfit for a specific occasion. There is even scope for it to suggest outfits that it’s found online. The opportunity that such technology brings for brands to reach consumers in their homes is obvious, but it also brings challenges. The traditional wander through the aisles will be replaced with a series of AI-curated requests for ‘eggs, butter, cling film’ and brands risk being marginalised if they do not act to take full advantage of what the connected home has to offer. The need for innovative product development or strategic partnerships – above all truly creative thinking – is clear. “Some want to understand how audiences will consume media in the future home, while others are more interested in the opportunities for brands in the new ambient technologies. Once people have visited the Home, we try to find ways that we can work together and plan new products or services,” explains Unruly futurist, Elena Corchero. 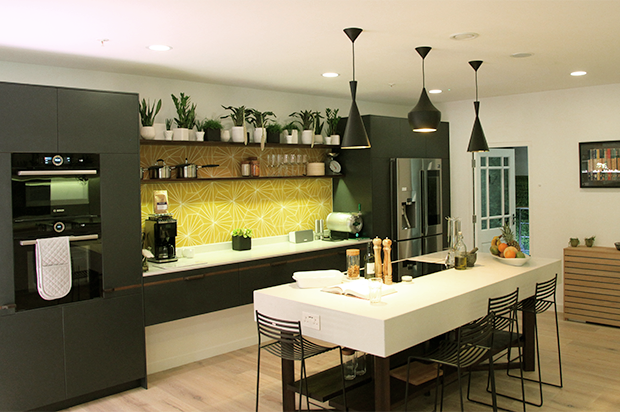 “The Home is a fantastic space to see where advertising, brands, data, tech and design converge – and this makes it easier to see the exciting opportunities that arise when these different worlds collide,” says Corchero.